I do not remember exactly since when POP PUNK has existed. Some successful bands who are now representing POP PUNK were just PUNK rock before the POP PUNK days. In recent years it has become one of the most popular genres in rock music. In my opinion, as there is a difference in ’70s PUNK rock between UK and America, POP PUNK music is slightly different between these countries. This year, I have listened to a lot of UK POP PUNK. The majority of them were very exciting. And I found two bands whose musical qualities are outstandingly good. In no particular order, I present the one for today. The first band is Diamond Days from Liverpool. On their Facebook page, their genre is labelled as “Alternative Rock/Pop Rock”. But I would like to add them into the POP PUNK genre as well. If I am not mistaken, just over a month ago I often heard one of their songs “Let Go” on Spotify’s advertisements. It was only played for probably about 30 seconds each time, but it was long enough to appeal listeners. 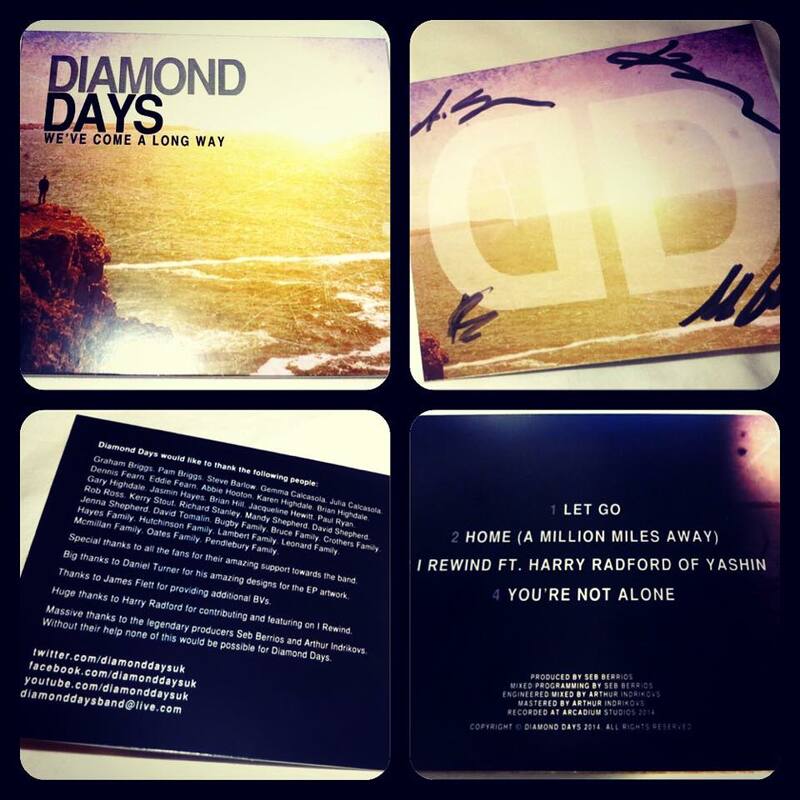 On 17/11/14, Diamond Days debut EP “We’ve Come A Long Way” was released. I would say this turned out to be the one of the most awaited releases in UK POP PUNK/POP ROCK world. In the past month, this EP was reviewed, written about and talked about by many music magazines, critics and radio presenters. Unfortunately I have not read them all, but I am guessing they all agree with my opinion. The songs are up-tempo, catchy, and with attitude. The lead vocalist, Alex is a gifted singer with a great voice. I am not sure how they write their songs, but the songs are crafted to suit his voice. Also their punchy choruses show their energy. There is no doubt that they are technically very skilled. 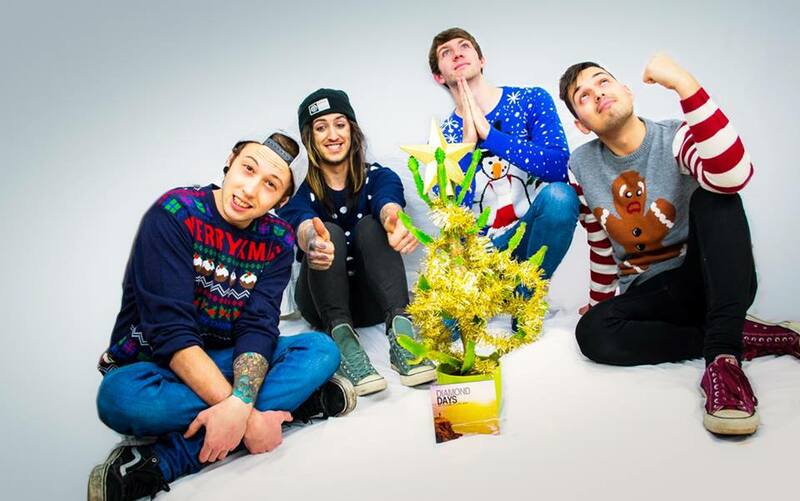 They create the text book POP PUNK sound as a complete band. I can’t find a fault in any area. The physical CD copy is available from their official site. Also you can listen to the EP on Spotify. 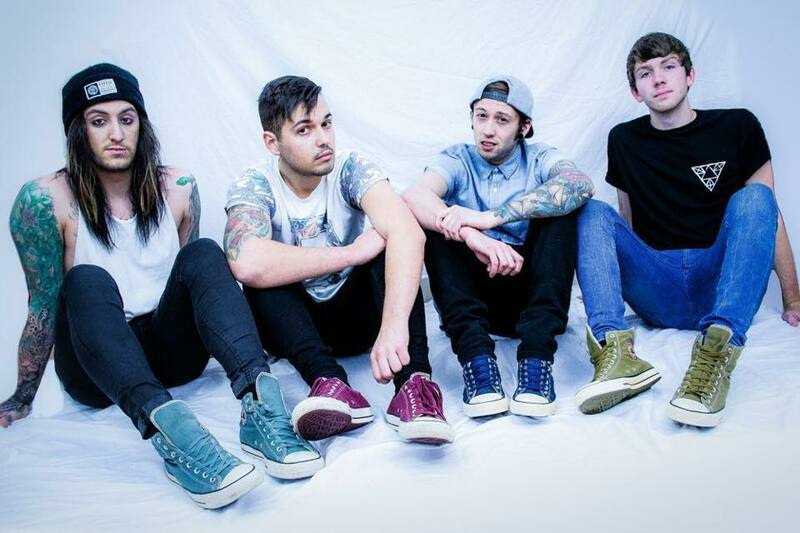 Diamond Days released the music video for their single “Let Go” which was followed by the EP release. It is a kind of semi live performance. This video is fun to watch. It makes you feel like you are there. I have learned through Twitter Analytics that Diamond Days has a huge, strong fan-base. I assume it is getting even bigger after the EP release. I have no idea about their gig situation in the near future. But I am sure they are a band you must see/hear live. I look forward to the date when they come to London for their next gig.